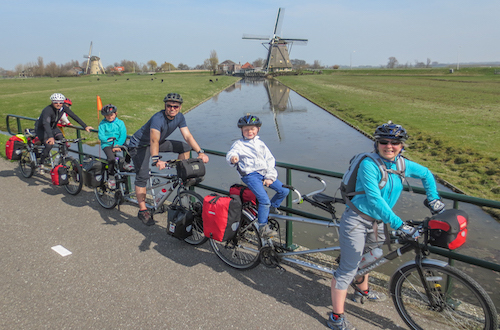 Extend your cycling summer in continental Europe! The traditional destinations of southern France, Spain and Italy all emerge early into the glorious Mediterranean spring. Soon to be followed by more exotic holiday destinations such as Albania and Bulgaria. 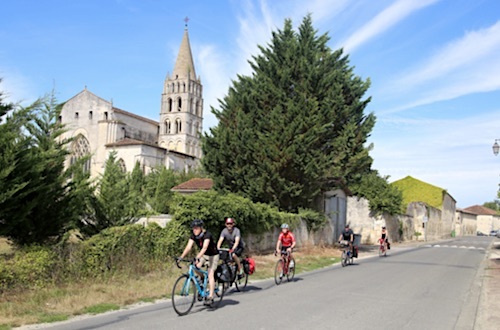 For the leisurely rider we offer centre-based holidays in rural villages and, for families with young children, an annual week in a continental chateau or hostel. 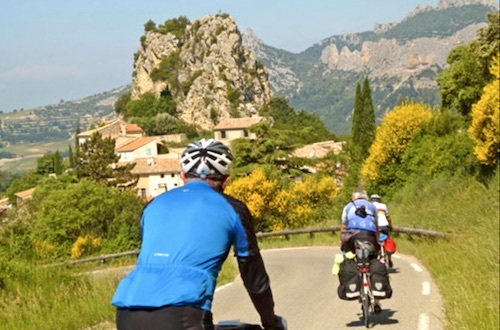 Whilst the Alps and Pyrennes lure mountain-lovers of all shapes and sizes and the French Manche to Med and Spanish End to End rides challenge us all. 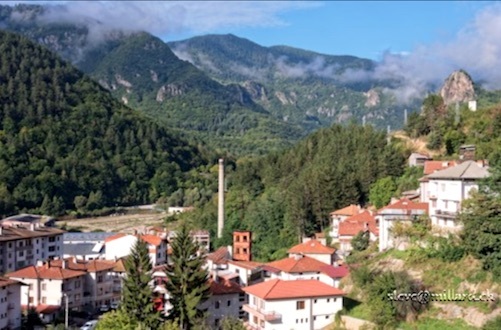 Centre-based holiday, staying in the County Town of Cocentaina in the Sierra Mariola. 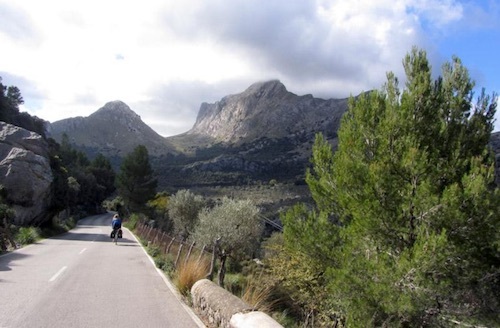 Cycle deep into the Sierra Aitana, journeying along an ancient trading route from the Mediterranean and through remote landscapes unchanged for centuries. Mostly hilly terrain with largely good quality roads and a change of scenery with every turn. 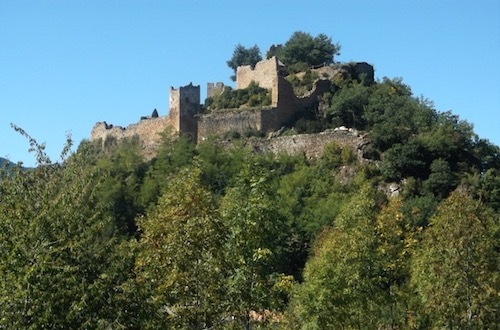 Explore the ancient town of Cocentaina during the evenings. 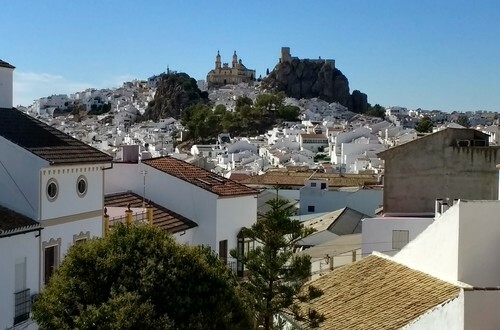 An end to end tour exploring the huge diversity of Spain. Ferry Portsmouth/Santander to the finish point at the Rock of Gibraltar. Crossing the Picos de Europa into Castilla y León then Extremadura and on into Andalucia. A total of 1,275km, averaging 85kmpd with one rest day. In 2014 the New York Times rated Albania 4th among 50 recommended destinations and in 2011 Lonely Planet ranked it number 1. Now is the time to visit Albania as it emerges from its political constraints. Stunning mountains, lakes and coastal scenery. Quiet roads and Heritage towns. Fully supported tour. In 2014 the New York Times rated Albania 4th among 50 recommended destinations and in 2011 Lonely Planet ranked it number 1. Now is the time to visit Albania as it emerges from its political constraints. Stunning mountains, lakes and coastal scenery. Quiet roads and Heritage towns. Fully supported tour. Fly London Gatwick/Tirana. Classic ride from Caen to the Mediterranean, using the ferry from Portsmouth, returning by Bike Bus from Montpellier. Moderate pace, 50-110kmpd. Rural route: Normandy, Loire, Limousin, Auvergne, Languedoc. 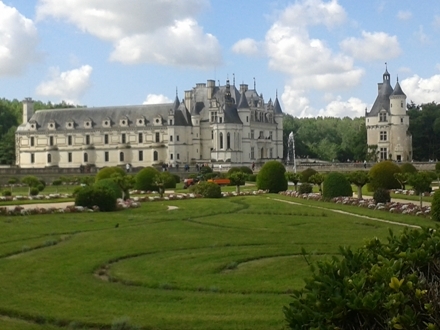 Chateaux, medieval towns, spectacular lakes and gorges. Family hotels. Suitable for regular fit cyclists. 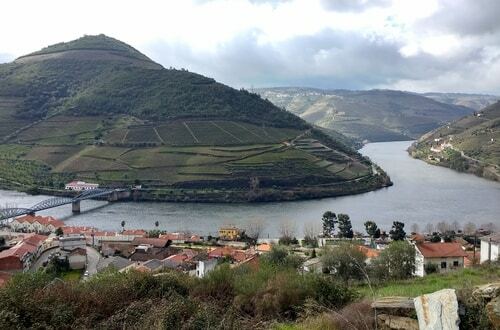 This moving-on tour explores the huge diversity of Portugal and Northern Spain visiting parts of Iberia that many tourists never see. 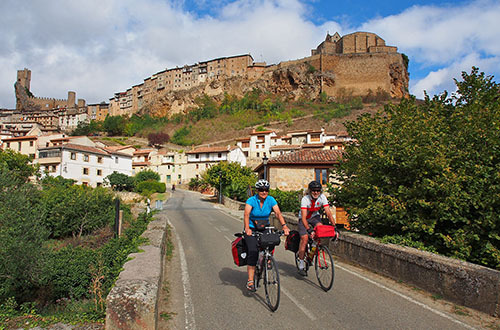 From Faro through Portugal's central heartland, cycling through cork and eucalyptus forests, the Duoro Valley, crossing mountain ranges to the border with Spain and northern Spain to Santander. Montenegro is Europe’s newest country and, although small, it packs in a large variety of scenery. 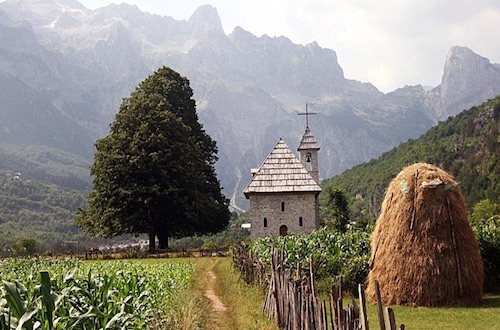 The route visits all of the country's highlights including Kotor Bay, Lake Skadar, Tara Canyon, Durmitor National Park and the Piva River Canyon. There are several demanding climbs and long descents. The tour starts and ends in Shkodër, Northern Albania. Fly London Gatwick/Tirana. A land-only version of this holiday is also available - find out more. 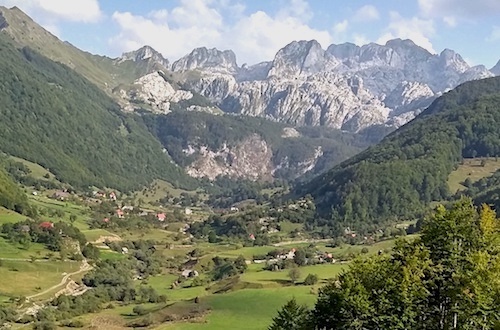 Montenegro is Europe’s newest country and, although small, it packs in a large variety of scenery. 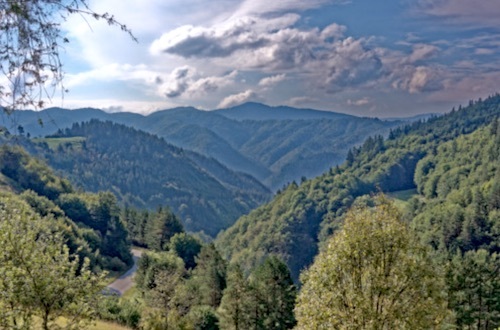 The route visits all of the country's highlights including Kotor Bay, Lake Skadar, Tara Canyon, Durmitor National Park and the Piva River Canyon. There are several demanding climbs and long descents. The tour starts and ends in Shkodër, Northern Albania. 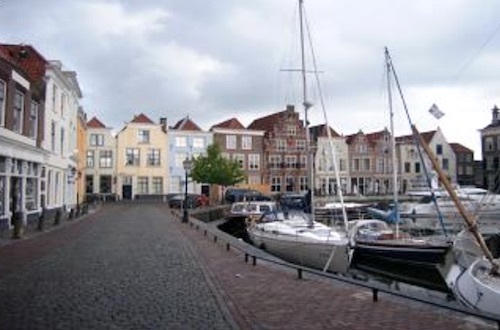 Based at a Dutch lakeside hostel (Water Sports Centre) in the Friesland area of the Netherlands, with sole use. Daily circular rides to pretty villages, sites and cafes. 50-55kmpd. 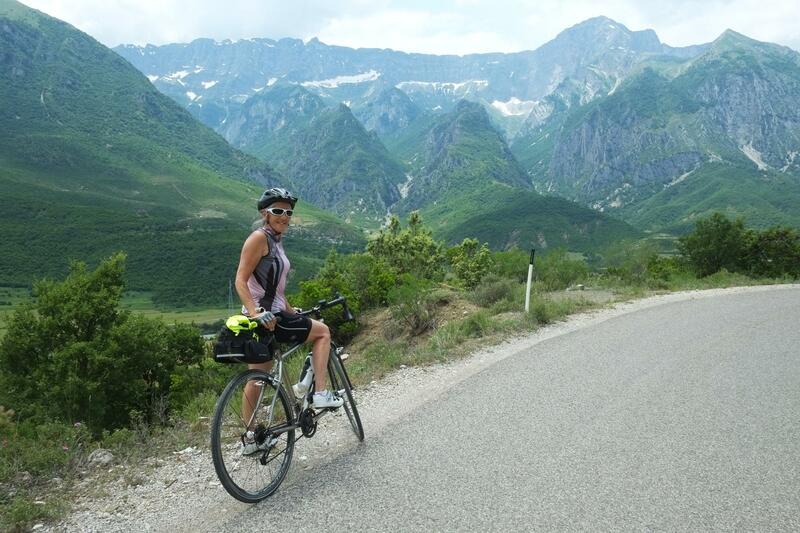 An ideal introduction to cycling abroad from the comfort of the hostel. Families with children only please. A moving-on tour characterised by scenic variety. 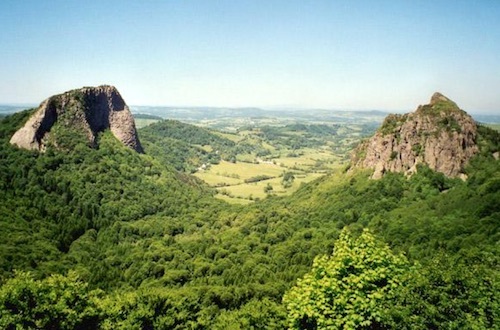 The rugged landscapes of the Millevaches Plateau and the hills of the Monedieres Massif contrast sharply with those seen from the banks of the Dordogne river with its many attractive villages. In 2014 the New York Times rated Albania 4th among 50 recommended destinations and in 2011 Lonely Planet ranked it number 1. Visit Albania as it emerges from its political constraints. 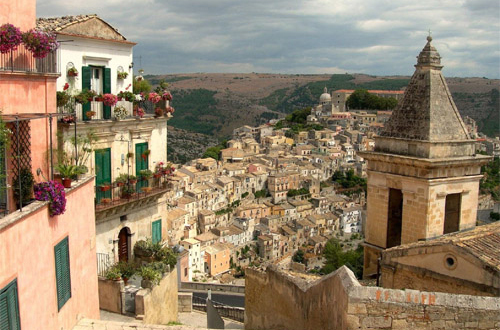 Stunning mountains, lakes and World Heritage towns. Suitable for fit cyclists able to cycle up to 90km. In 2014 the New York Times rated Albania 4th among 50 recommended destinations and in 2011 Lonely Planet ranked it number 1. Visit Albania as it emerges from its political constraints. Stunning mountains, lakes and World Heritage towns. Suitable for fit cyclists able to cycle up to 90km. Fly London Gatwick/Tirana. 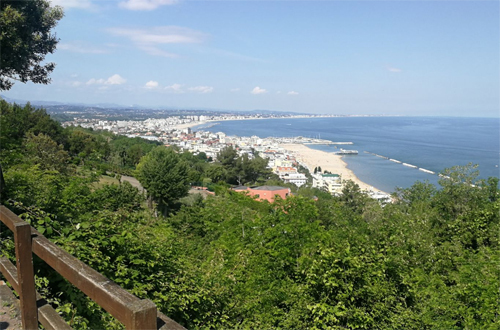 Classic ride from Caen to the Mediterranean, using the overnight ferry from Portsmouth, returning by Bike Bus from Montpellier. Moderate pace, 45-102kmpd (average 74km). Rural route: Normandy, Loire, Limousin, Auvergne, Languedoc. 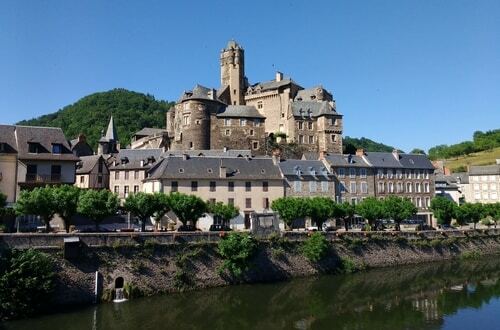 WW2 sites, chateaux, medieval towns, spectacular lakes and gorges. Family hotels. Suitable for regular fit cyclists. 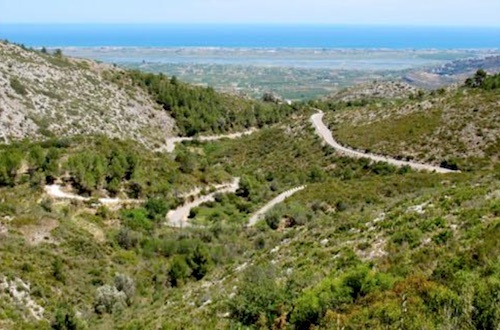 Ride deep into the Sierra Aitana, journey along an ancient trading route from the Mediterranean and through remote landscapes unchanged for centuries. Mostly hilly terrain with largely good quality roads and a change of scenery with every turn. Explore the ancient town of Cocentaina during the evenings. 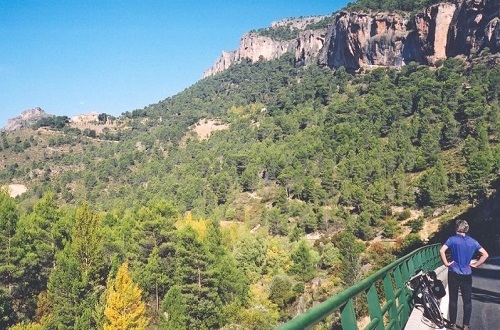 Discover the ruggedly scenic border country of Castile and Aragón and its surprisingly spectacular show of early autumn colours. See the hanging houses of Cuenca, the fortified town of Albarracín, the source of the mighty River Tagus, the Devil's Window, the Enchanted City, numerous stunning gorges and other remarkable sights. Two rest days. 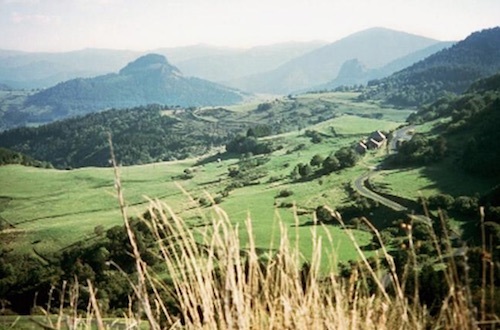 Unique volcanic landscapes are at the heart of this region which offers the highest climbs of the Central Massif. The tour would normally start and finish at Lyon Sud European Bike Express pickup/dropoff point. Aimed at the experienced self-reliant cyclist. Moving-on, self-led. 14 nights. 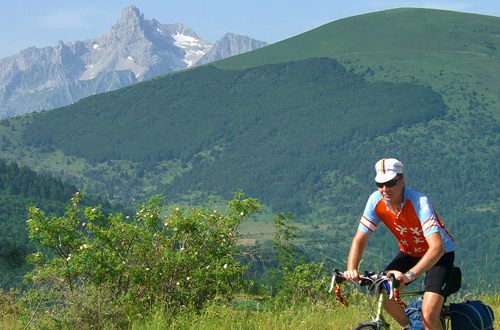 Several Pyrenean climbs are included on this moving-on, self-led tour. 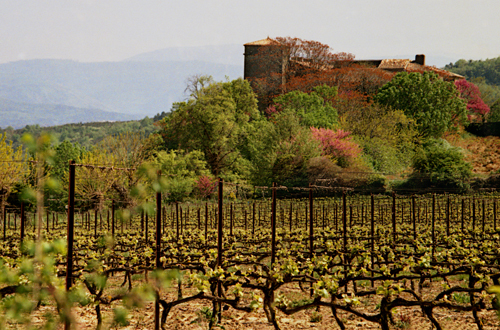 The Corbières with their Cathare castles, the lower slopes carpeted with vines, and the Espinouse Mountains provide a scenically contrasting link between the Pyrénées and the high limestone plateau. 14 nights. 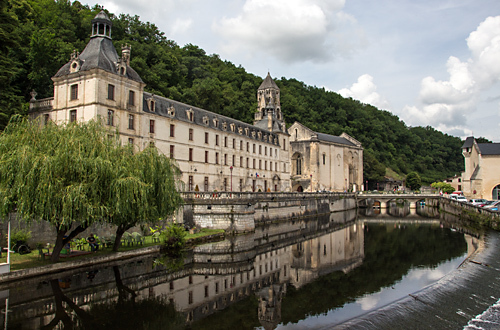 This self-led tour takes you from the Quercy Causses in the west to the larger, higher Grands Causses in the east. 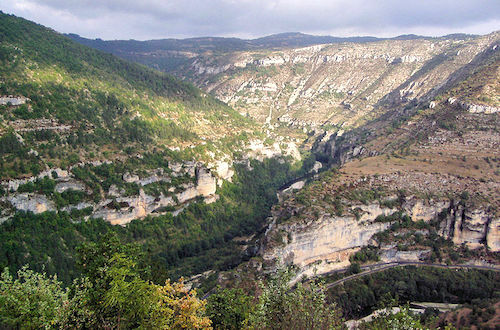 These limestone plateaux cut by deep river gorges offer some of the most dramatic scenery in France. 14 nights. 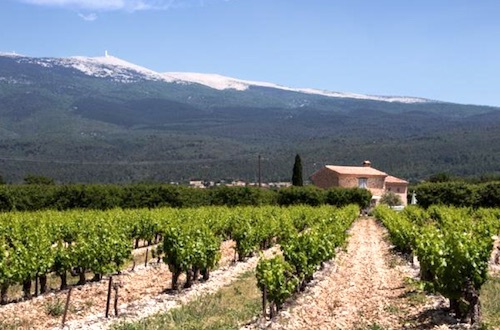 This self-led tour takes you from the Vivarais Mountains where the Central Massif meets the Rhône valley to the bleached limestone hills as you approach the Mediterranean. 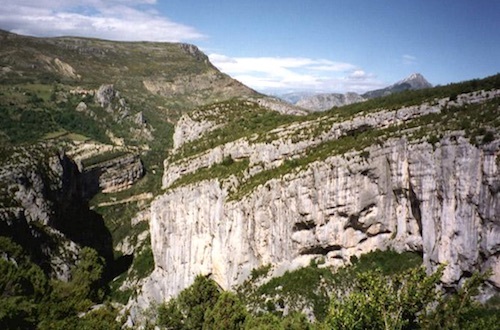 Dramatic limestone gorges cut by the rivers Tarn and Jonte through the Causses are visited as well as the volcanic landscapes of the Mont Mezenc region. 14 nights. 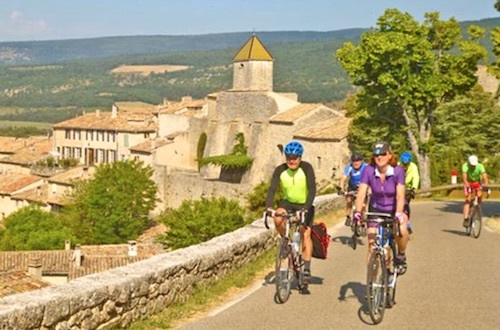 This is a self-led, moving-on tour through the Vercors to Mont Ventoux and the Vaucluse. 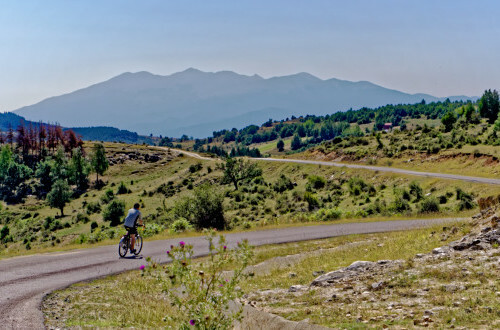 Continuing east across the Durance Valley to Barcelonnette, from where you cross the high cols of the Southern Alps, heading south to the Verdon Canyon, the Haut Var and the Luberon. 14 nights.